A new bylaw is being tabled at Students’ Council to fill seats that remain vacant after fall’s by-elections. If passed, students will be able to file “vacancy petitions” to win their faculty’s council seat. The purpose of the bylaw is to ensure all faculties have representation on Students’ Council — students can run in by-elections at the end of September to fill vacant seats, but some remain open even after by-elections. The bylaw’s first principles were passed in Students’ Council on June 14, and are currently being revised. Currently, Students’ Council seats are vacant for Augustana, Education, Native Studies, Pharmacy, and Physical Education and Recreation. If the bylaw passes, Discover Governance will create a petition for all faculties with council vacancies. Students interested in filling seats would need to collect an equivalent or higher number of signatures as the voter turnout from the last time a candidate ran for that faculty’s seat. For example, if voter turnout in Native Studies was 13 per cent last time there was a candidate, a petitioner would need to collect approximately 15 signatures. Petitions would take effect one week after submission to council unless another petition was received, which would allow fairness if multiple students ran — after all petitions were finalized, the most votes would determine the winner. Students who have lost to None of the Above (NOTA) in a previous election would be ineligible to file a vacancy petition. Slates, or two candidates running for a single position, would also be ineligible. Council is still deciding whether Open Studies students will be able to petition for seats, as the group has no building or defined classes, which might cause difficulties for the vacancy petition system. Engineering councillor Brandon Prochnau, who was one of the councillors who put the bylaw forward, described the bylaw as a way to fill empty seats when students have been given every opportunity to represent and still have no interest. “It’s more of a last-ditch effort and it’s not designed to be easy,” Prochnau said. Science councillor Umer Farooq questioned whether allowing vacancy petitioners will affect the integrity of Students’ Council’s ability to say its councillors are elected. Farooq also asked whether it was reasonable make match their signatures with voter turnout in high-population faculties. There are approximately 5,000 undergraduates in the Faculty of Science — if the previous election with candidates had voter turnout of 10 per cent, a vacancy petitioner would need to collect a minimum of 500 signatures for council eligibility. Prochnau responded that the number of signatures required for a seat is “almost ridiculous” as the petition should not be an easier alternative for students trying to avoid the elections process. Vice-President (Academic) Marina Banister said she saw the need for the bylaw, but questioned whether Students’ Council should push for last-resort measures to fill seats when vacancies are caused by the student body’s disinterest and unawareness of governance. Law councillor Sandy Brophy said the bylaw could be useful in situations where council seats become vacant during the year. Arts councillor Reed Larsen said that though the signature thresholds for some faculties might seem high, candidates could reach out to a large number of students through class talks and enlisting help, similar to how election candidates do class talks and work with volunteers. 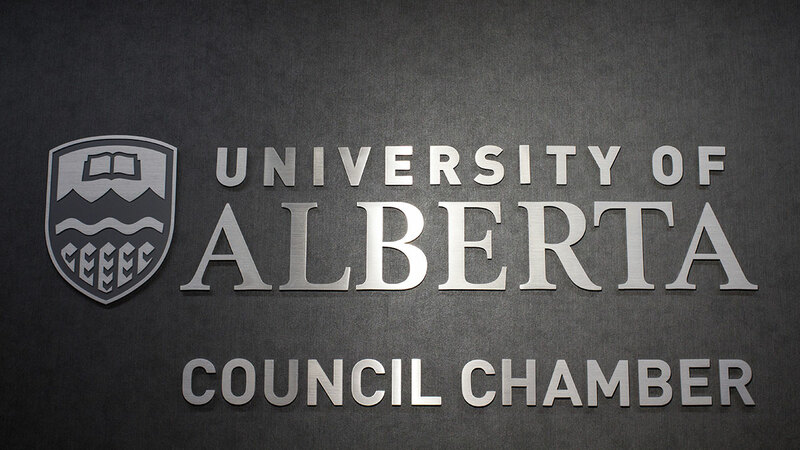 The bylaw is under revision until council meets again on June 28 in the Council Chamber, Room 2-100 of University Hall. Council meetings are open to the public, who may ask questions during open forum about the new bylaw and other governance concerns.